New River Outdoor Adventures located steps from New River and New River Trail. 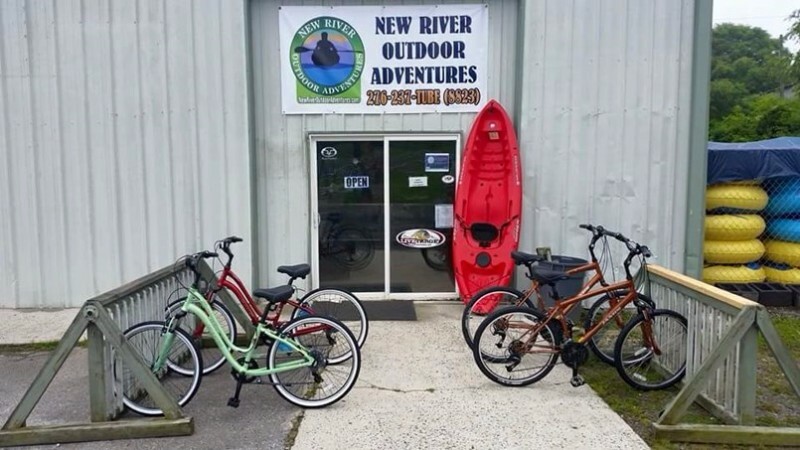 They offer canoe, kayak, tube and bike rentals. They also sell hunting and fishing licenses. Primitive camping if also available. Check them out on their facebook or contact for more information.